Demand for new Australian bullion coins and bars tumbled last month, the Perth Mint reported, with gold sales the lowest in at least 3.4 years and silver sales the weakest in 13 months. These sales registered against advancing precious metals prices with London fixings in July logging gains of 1.6% for gold and 8.9% for silver. "Slower summer sales in North America where distributors reported they were well stocked with product impacted Australian gold and silver minted products during July. Compared to the previous month, demand out of continental Europe also became subdued in the post-Brexit, holiday environment." United States Mint bullion sales also retreated sharply last month. Perth Mint sales of gold coins and bars advanced by 16,870 ounces in July, the lowest monthly amount since CoinNews started tracking the Mint’s data in February 2013. The total is 46.2% lower than June and down 67% from July of last year. Year to date sales at 249,585 ounces are still 13.6% higher than the 219,738 ounces sold during the first seven months of 2015. July orders of silver bullion coins reached 693,447 ounces for the lowest monthly total since the Perth Mint delivered 384,586 ounces in June 2015. It marks declines of 43.2% from June 2016 and 7.1% from a year earlier. The Mint’s silver coins have been on fire for much of the year, scoring monthly gains above 1 million ounces in every month but May and July. 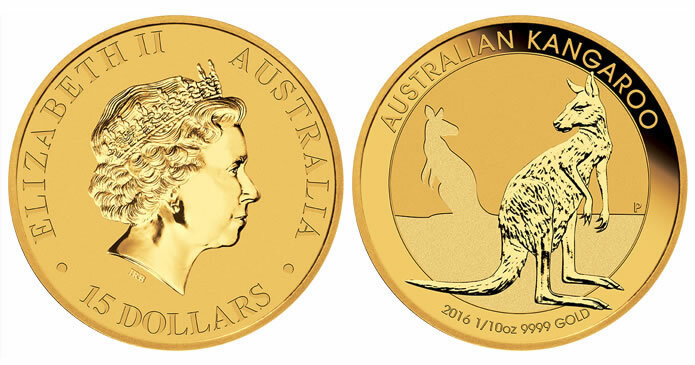 A strong boost came from 2016 Australian Kangaroo 1oz silver bullion coins, with demand exceeding expectations and sales topping 10 million since their release in September. As for the January to July period, Perth Mint silver sales at 8,329,603 ounces are 134.1% higher than last year’s same seven-month total of 3,557,694 ounces. Below is a monthly summary of Perth Mint bullion sales from July 2015 to July 2016. The figures show monthly ounces of gold and silver shipped by the Minted Products division of The Perth Mint to wholesale and retail customers worldwide. It excludes sales of cast bars and other Group activities including sales of allocated/unallocated precious metal for storage by the Depository. The Perth Mint Australia sold its unique 1kg gold kangaroo coin with a rare red Australian diamond embedded in it for the asking price of $1 million within 48 hours of placing it on display at the Mint’s main boutique at the 1899 building complex in Perth. The anonymous buyer was from Asia. Great PR stunt!